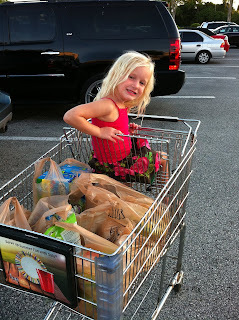 My Kids Stole My Brain: Shopping with Kids...Is it just me? I think NOT! I can't be alone in this...I sometimes dread going to the grocery store. The mall isn't so bad, because at least you can buy a new pair of shoes and an outfit or 2 and maybe even a purse to drown your sorrows. But the grocery store...with kids...it's next to impossible ok, not impossible like actually working out 5 times a week, but you know what I mean. And for me, it's not that the kids are bad like those kids who scream at the top of their lungs for no apparent reason...oh, i've been there, but now that I'm out of that "phase" it's really annoying, but they just don't STOP TALKING! And don't tell me to play some game with them where they point out every food item that starts with an "A"...seriously?!? WHO COMES UP WITH THIS SH*T? Wow, do I sound bitter or what? So here's my solution...after all, they say "Necessity is the mother of invention"...they maybe I should patent this idea and sell it, but who has the time with all this talking need to reinvent the cart - not the wheel, just the cart! Ok, pretend I'm pushing the end of the cart...it's hard to take a picture of yourself pushing a cart, use your imagination! PUT THE KID SEAT IN THE FRONT!!! I can't believe I just thought of this - HELLO???!!! My sweet girl was in heaven when I started pushing the cart from the behind, so much so that she stopped....wait for it...you guessed it...talking! (Again, don't judge me, I love her little voice, just not non-stop, when I'm trying to concentrate on a list I told you I get distracted and no I'm not drinking at the store... ok, maybe every now and then when they have those little wine tastings near the wine aisle...and what's with those shot glasses anyways? this is wine people, provide the proper glass - KIDDING!!!!). So that's my great INVENTION...and I promise moms around the world will LOVE IT! Plus, and let's be real, don't you think your kids will get more out of the shopping experience when they get to see something other than your mug in the store. I really think I'm on to something....Oh yeah, and I know, they have those "Car Carts" already, but that's like pushing a Hummer around the grocery store...Don't even get me started on that! I love this idea! Genius! You got the shopping trip experience down to a tee! You would think our children were somewhat related. Ry likes to recap anyone of the 3 toy story movies anywhere we go it was adorable at first haha. 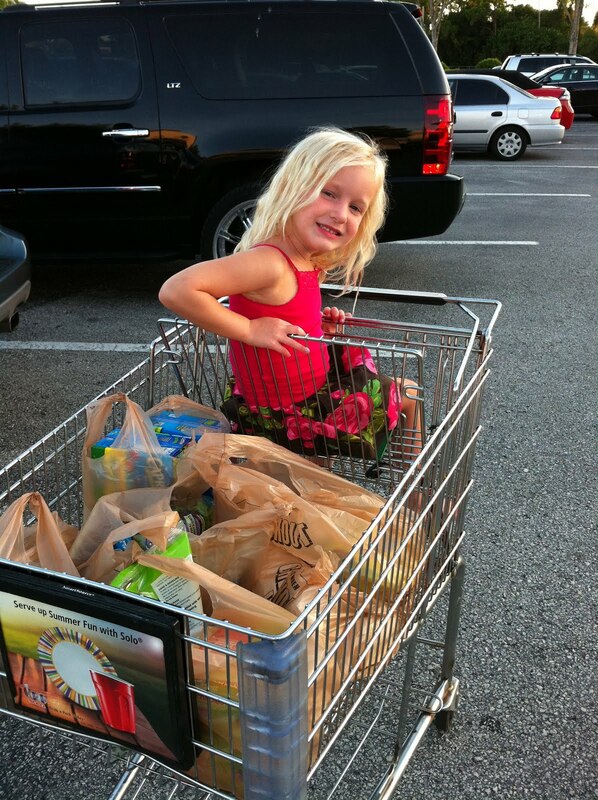 I love this blog and I def think ur on to something with this cart situation!